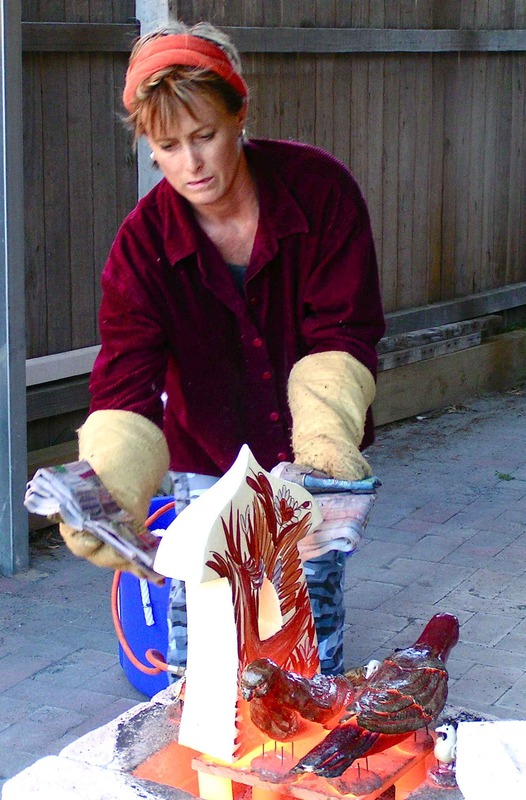 I have been living and making artwork for 30 years in Canberra, Australia, and completed a Masters in Visual Arts (sculpture and ceramics) at the Australian National University in 2011. My art practice is focused on concerns about environmental culture and societal and personal connections with the environment. In my ceramic work I often approach these issues through the form of birds because they are a clear indicator of the health of our natural environment. Survival for so many species is tenuous in a modern world where habitat loss is as common as the next housing development, where subtle changes in climate can affect food supply, and invasive species challenge the balance of nature. My art practice is carried out in a full time capacity in an isolated studio surrounded by a garden full of beautiful birds. This environment acts as a conduit for thoughts that lead to work that hinges on the human desire for the poetic, the beautiful and seductive.